Have you ever met someone whose every word needed to be taken with a grain of salt? How about someone whose stories seem to always convey a sense of exaggeration? If so, you may have known a compulsive liar. Compulsive lying, also known as pathological lying (PL), describes someone with a history of habitual lying for “which no apparent psychological motive or external benefit can be discerned.” Many experts claim that PL can become a hardwired behavior – an addiction to lying. Few people demonstrate an aptitude for compulsive lying quite like Patrick Couwenberg, a former Superior Court Judge of California. In 2001, Couwenberg was removed from his position “by the state judicial commission after it concluded that he repeatedly lied about being a Caltech graduate, a wounded war veteran and a CIA operative in Laos in the 1960’s.” “This is a true tragedy,” said Edward P. George, the judge’s attorney. Apparently, compulsive lying is a thing among lawyers. Shocking, we know! – Compulsive liars are found everywhere. – Some compulsive liars are skillful at deception. – The act of compulsive lying may directly or indirectly harm others. On an individual level, it certainly behooves us to (a) have the ability to single out compulsive liars, and (b) take the proper actions. Make no mistake about it: many (most?) 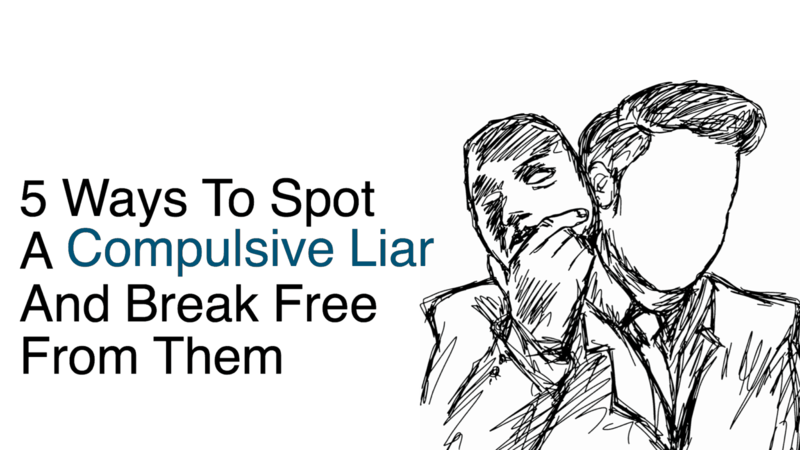 compulsive liars are professional schemers. They engage in espionage, of sorts. They will know everything to say and do, they know what you want or don’t, and will “study” your behavior and mannerisms. They may even use emotional or sexual arousal to achieve their aims. They also use psychological tactics, like piquing your interest, and emotional tactics, like conveying a sense of empathy, to attract or distract you. Taking action: Should you feel that the person you’re dealing with is a compulsive liar, attentively listen to their words. Do they convey a sense of knowing too much about you? Do they track your movements or act overtly emotional or sexual? If so, avoid them. Compulsive liars are similar to narcissists in that they both lack empathy for others. Its typical for someone with narcissistic traits to compulsively lie, and vice-versa. They don’t care about your feelings, nor do they care how their mistruths will affect your life. Remember, compulsive lying is impulsive lying – and impulses don’t discriminate. Taking action: Pay attention to the potential liar’s way of communicating with others. Can you spot a pattern of improper behavior? 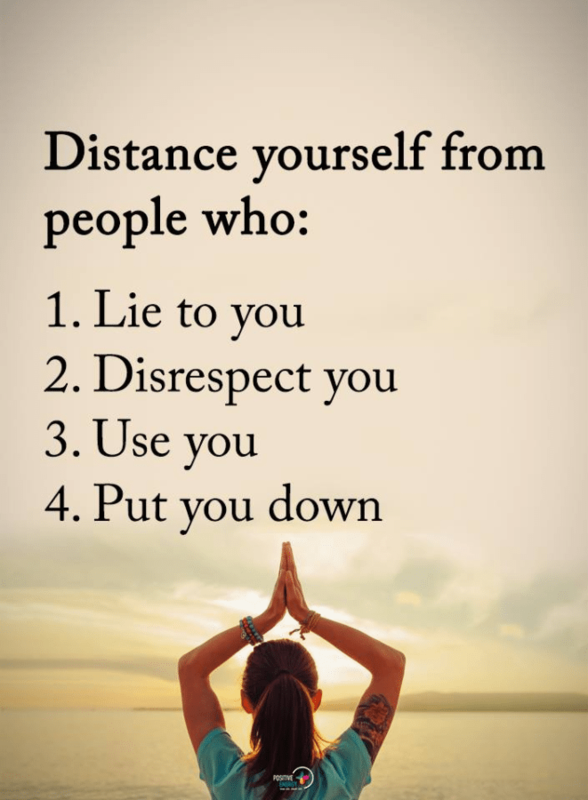 If they act disrespectful or unconcerned towards you or others, consider separating yourself as much as possible. Compulsive liars have a proclivity for exaggerating things. Oftentimes, their stories are crafted to present themselves in a highly desirable way. Similar to the fake judge, a compulsive liar often “decorates their own person” by telling stories that present themselves as the hero or the victim. They may share stories about personal acts of bravery, how they know influential people, or how much power or wealth they have. Taking action: Don’t bother calling their bluff. This won’t do you any good, and may even make you a possible target. Ignore and separate. Normal people will feel anxious or guilty when lying about things. Compulsive liars do not share the same sentiment. Furthermore, they will consciously avoid doing the things that others do when lying, like touching their face, shifting their body, or avoiding eye contact. Instead, they’ll smile, act laid-back, and use some humor to throw you off. Taking action: Action here requires recalling if and when the person lied to you, or if a trusted confidant conveys their experience. “He lied like it was no big deal,” or “she looked me straight in the eye and lied” – or some variation of these phrases are something to watch for. Taking action: It is almost always better if you can take concrete steps to avoid compulsive liars. However, this preemptive maneuvering may not always be possible. In the workplace, should the individual convey anger or aggression towards you or someone else, report it. If you must do so, explain that you wish for the report to remain confidential. In a personal setting, evaluate your options and the degree of severity. The actions you take may range from removing yourself from the situation to calling the police. Use your best judgment.